Italian writer Giampaolo Rossi has claimed that elites across Europe are attempting to change the nature of the continent by facilitating the mass migration of millions from Africa to Europe. 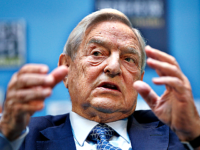 Billionaire open borders advocate George Soros has said that the European Union (EU) is having an “existential crisis” and that member states must “set aside their national interests” to save the bloc. Leaked papers have revealed how the foreign-funded group ‘Best for Britain’ hopes to spend a £5.6 million war chest on subverting or overturning the British people’s vote to leave the European Union (EU). 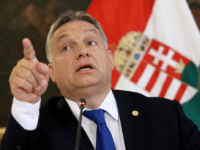 Viktor Orbán has called for patriotic EU allies to join Hungary in its fight against the globalist war on nation states which would see the West fall. Hungarian Prime Minister Viktor Orbán said elections held across the continent are proof that Europeans are “asserting their will” by supporting leaders who reject mass migration and support Christian foundations, and gave a warning to politicians who deny the “natural order of democracy”. The Hungarian government has received millions of notarised responses to its National Consultation on the ‘Soros Plan’ for mass migration, with the public rejecting it overwhelmingly. 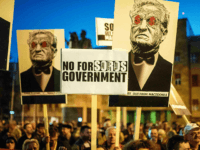 The Washington Post is promoting accusations the Hungarian government is “hatemongering” against billionaire open borders activist George Soros – accusations made by groups Soros is funding. 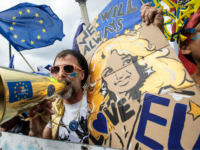 Nations in Central Europe have joined together to save the continent from George Soros’ plan for a ‘mixed, Islamised’ Europe, according to a senior Hungarian MEP, who compared the Visegrad nations’ opposition to forced mass migration to fantasy drama Game of Thrones. 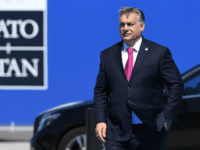 Prime minister of Hungary Viktor Orbán blasted the European Parliament for approving changes to the bloc’s asylum system which the Hungarian government sees as the implementation of the ‘Soros Plan’ to flood the continent with an unlimited number of third-world migrants. Hungarian government minister András Aradszki told the country’s parliament that is was a ‘Christian duty to struggle against the Satanic Soros Plan’, and defend against assaults on faith, Europe, and the family. 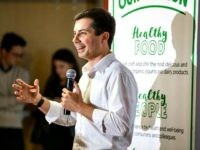 The prime minister of Hungary has accused the European Union’s leadership of insulting member-states, abusing its powers, and “eating out of the hand” of billionaire open borders campaigner George Soros. 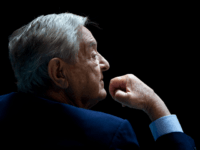 The Hungarian government says that conservative Central European countries — particularly their own and nearby Poland — are being attacked by the European Union because they are “standing in the way of George Soros”, the billionaire financier and open borders activist. 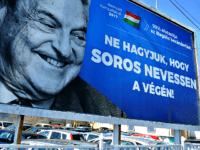 The Hungarian government has hit back at the mainstream media for claiming that the ‘Soros plan’ to open up Europe to mass immigration is an anti-Semitic conspiracy theory. 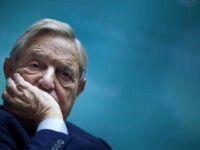 George Soros is mobilising large amounts of money through lobby groups in Washington to pursue his “Soros Plan”, specifically targeting Hungary which stands in the way of flooding Europe with one million migrants every year, according to claims by a member of Viktor Orbán’s ruling party. Witold Waszczykowski says Poland will welcome migrants from its poor and conflict-stricken European neighbours, but will resist the European Union’s efforts to impose a compulsory quota of migrants from North Africa and the Middle East.